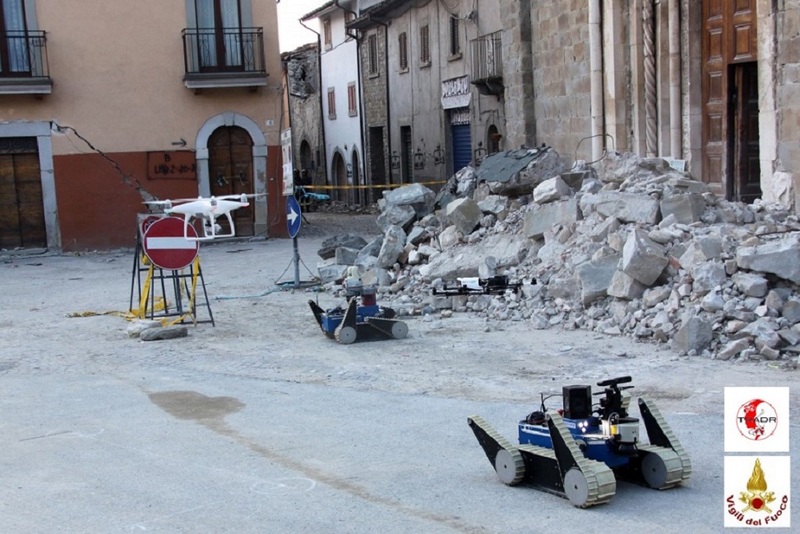 TRADR successfully deployed robot technology for disaster response in Amatrice. The main street of Amatrice after the earthquake, state on Friday Sep1 2016. 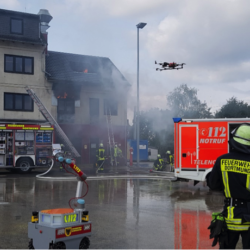 NIFTi deployed with their UGVs and to help the Vigili del Fuoco in assessing damage to cultural heritage in Mirandola, Italy. 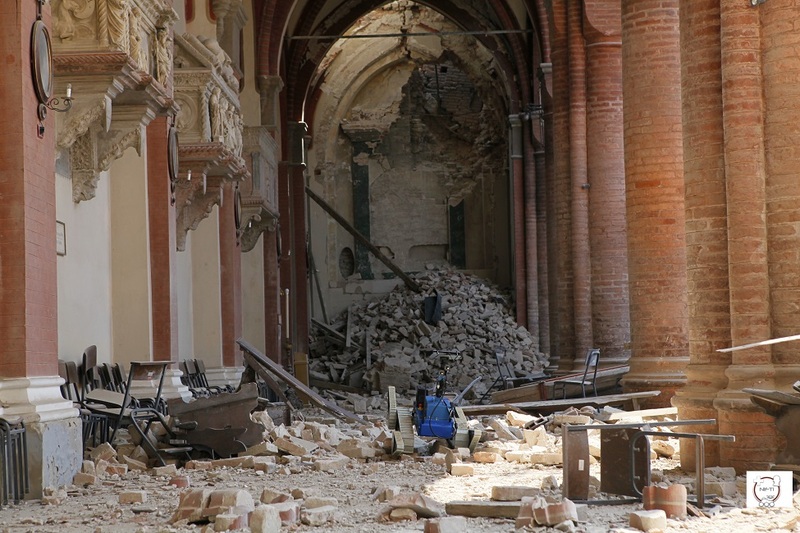 Mirandola is in the Emilia-Romagna region, which was hit hard in 2012 by several earthquakes. 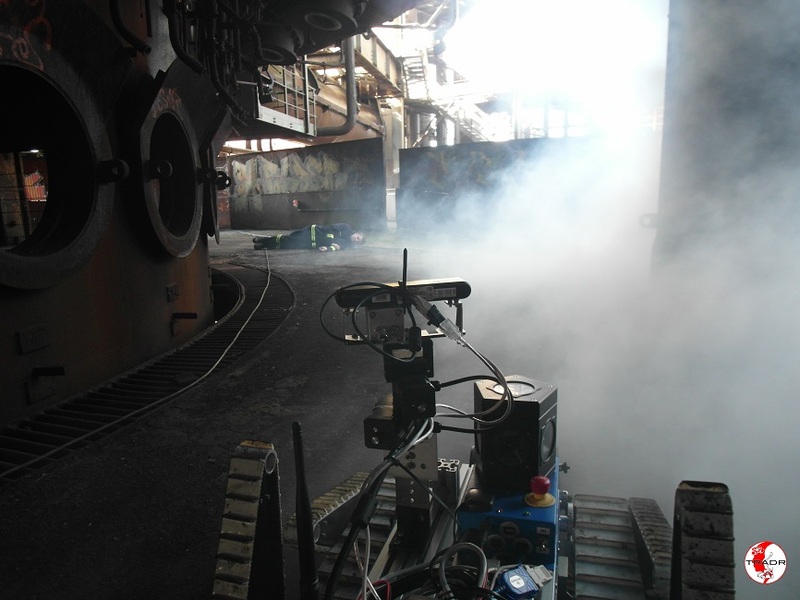 Exercise at Phönix a defunct foundry, Dortmund conducted by the Institut für Feuerwehr und Rettungstechnologie Dortmund with a UGV that allows searching for people and other heat sources during an accident. ....and a green barrel. Another UGV with a camera-tipped robotic arm is sent. The arm can be used to take a closer look at the barrel. 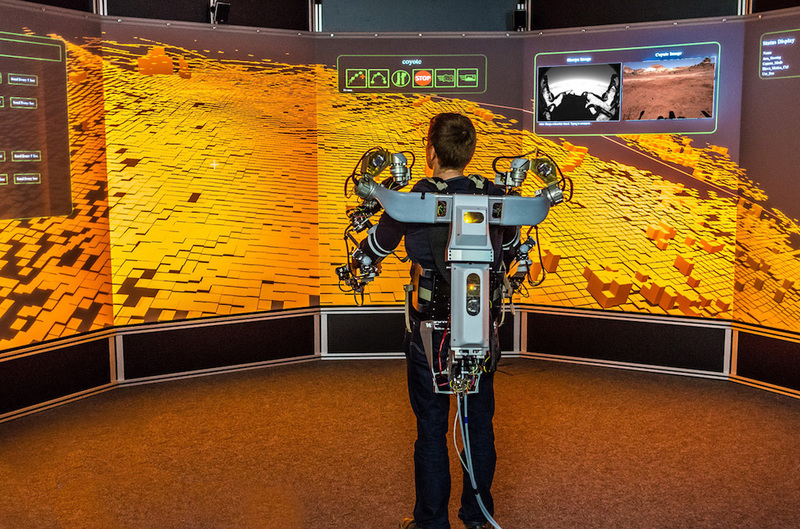 The HySociaTea (Hybrid Social Teams for Long Term Collaboration in Cyber-Physical Environments) project investigated how teams of humans, robots and software agents can work together in a factory setting. Various types of robots were used and different stages of human augmentation were examined. 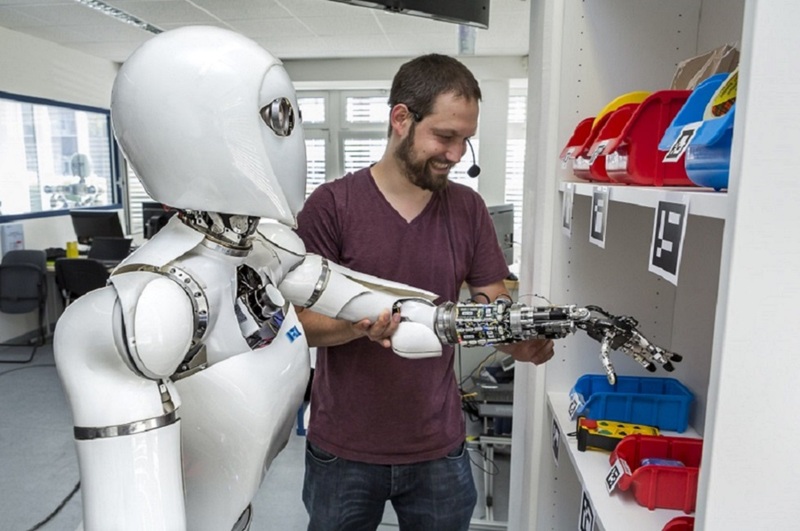 Here, a human is working hand in hand with the humanoid robot Aila. 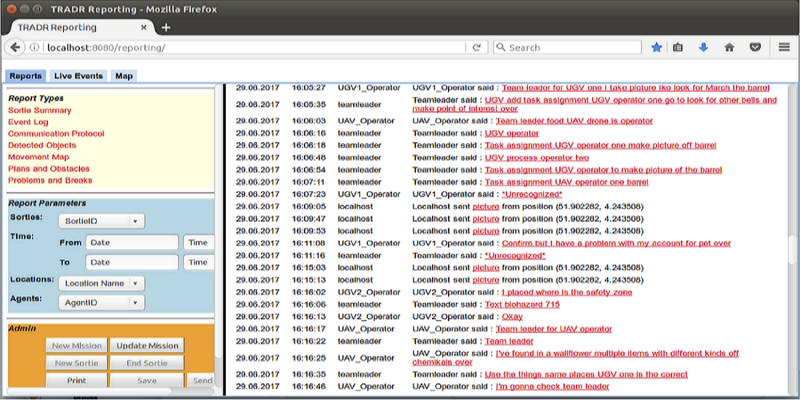 The TRADR mission monitoring and reporting tool provides information about the activities of the response team in various report styles for briefing and debriefing. 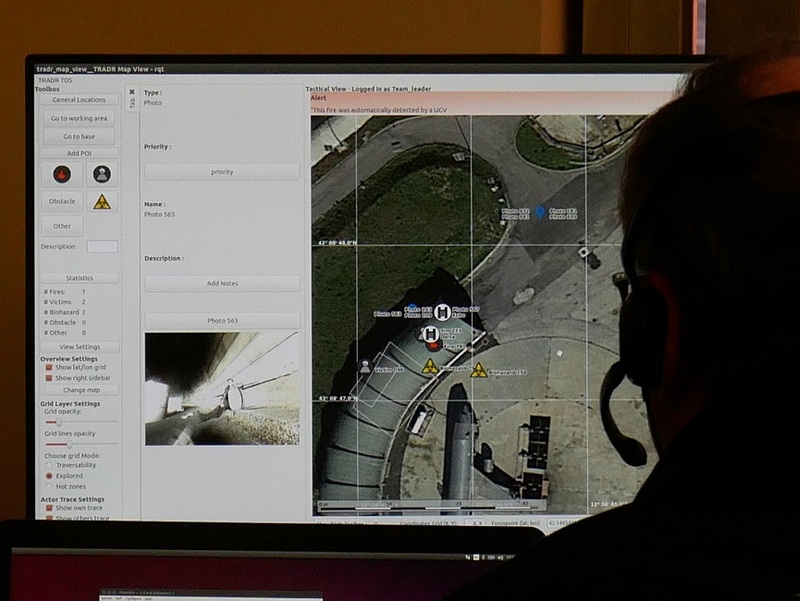 The TRADR display system enhances joint situation awareness. Points of interest can be added, removed or modified by multimodal interaction. 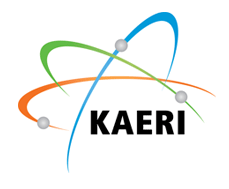 Our goal is to develop artificial intelligence-based solutions to support disaster response management. 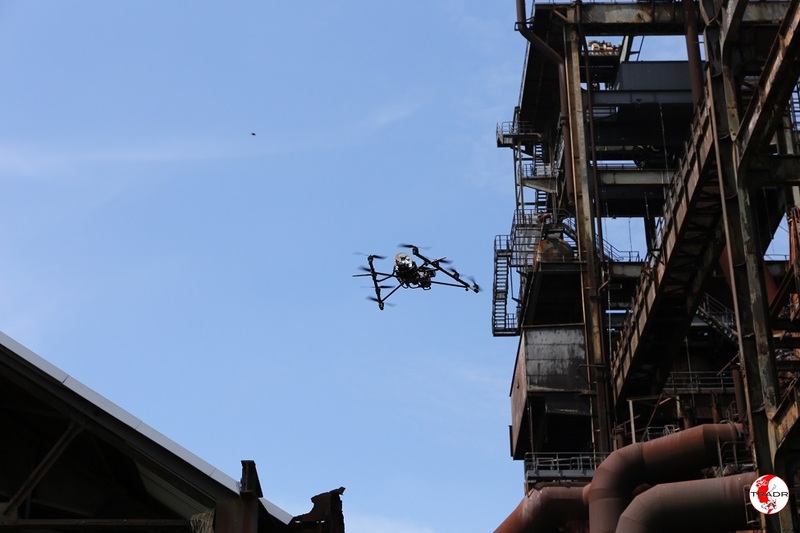 One of the core questions is, how should robotic systems efficiently support humans in situation assessment and the progressive creation of joint situation awareness in dangerous environments. 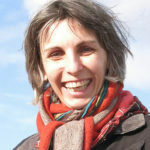 Depending on the concrete mission, environmental factors, e.g. 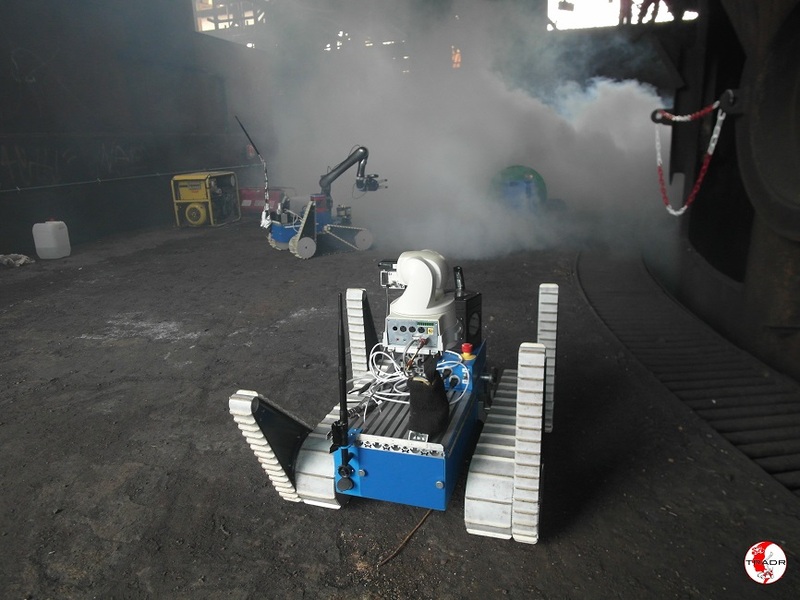 underground or underwater with polluted or radiated areas, require morphologically different robots to meet the challenges of a dynamic and complex environment, often collaborating with humans or other robots. How such teams should work efficiently and communicate, which information needs to be collected, how it needs to processed and presented to humans, are some of the core questions we are addressing. 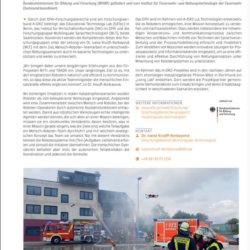 Senior researcher in the MLT Lab in Saarbrücken, leader of the Talking Robots Group, coordinator of the EU projects NIFTi and TRADR on human-robot teaming for disaster response. Research on dialogue and human-robot interaction. Leader of TRADR team deployed in earthquake-struck Amatrice, Italy. Sirko Straube is Research and Administrative Manager at the Robotics Innovation Center of DFKI in Bremen. Besides resource and project planning and coordination, he is considered with teaming of humans and autonomous robots, including related software architectures. 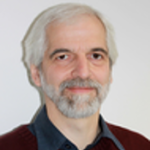 Dieter Hutter is vice director of the CPS Department at DFKI in Bremen and honorary professor at Bremen University. He is working in the areas of security, formal methods and change management. 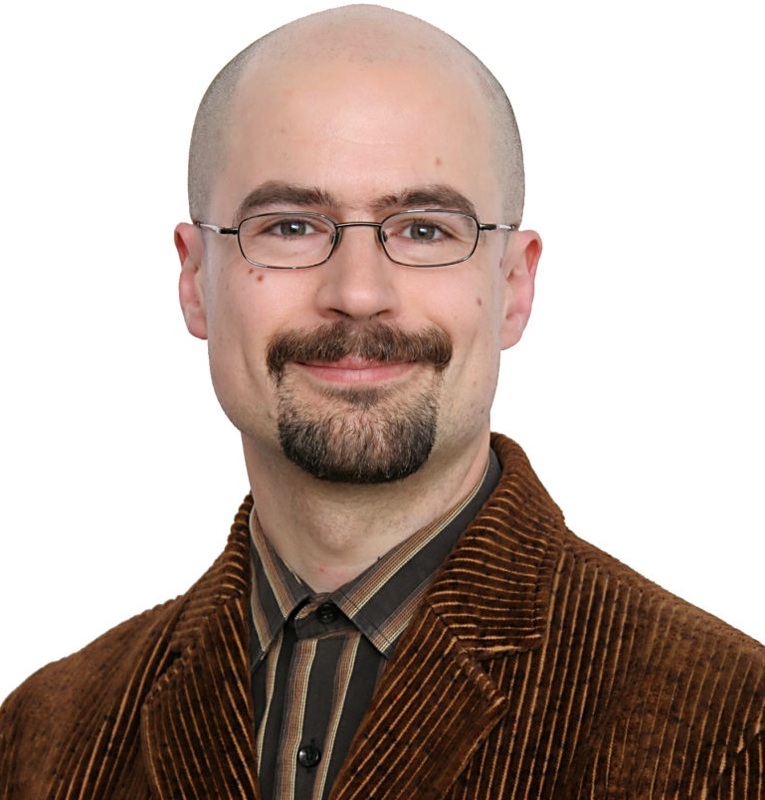 Dr. Carsten Ullrich is the associate head of the Educational Technology Lab. His research covers supporting individual users in stressful and complex environments. 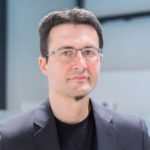 Peter Fettke is Professor of Business Informatics at Saarland University, DFKI Research Fellow and head of the Business Process Management Group at DFKI. 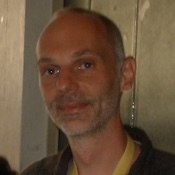 Tim Schwartz is a senior researcher at the Intelligent User Interfaces group at DFKI Saarbrücken. His main research interests lie in the field of Human-Robot interaction and autonomous systems. Ivana Kruijff-Korbayová is invited to be a keynote speaker at the upcoming SSRR (IEEE International Symposium on Safety, Security, and Rescue Robotics) 2018 conference in August 6-8, 2018 in Philadelphia, Pennsylvania. For more information about the conference, please check the official website.